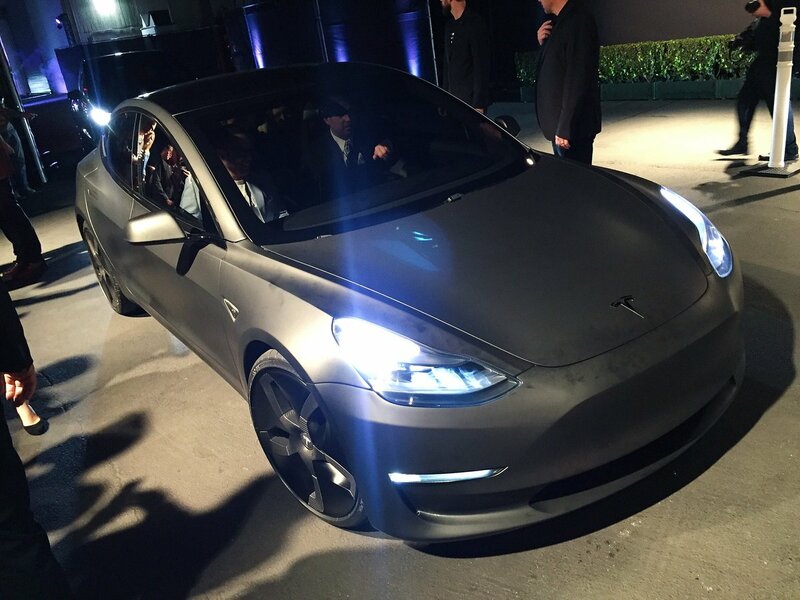 With the rumor mill running full tilt up here in Tesla's back yard, I thought I'd get a thread going for the Tesla Model 3, which just might be my next car. Not like I need anything bigger than my 2-seat, Cooper S Roadster, or can even justify a fancy sedan, or have any chicks or family to impress with a flash ride, or any means on keeping the thing charged at home... But if the subsidized price does get in the 25k-sh range like all the blogs are saying, that's way less than I paid for my MINI, and I'll probably get free parking at work! Because that's how we roll up here. Thoughts? if its anything like the S then I am going to be seriously looking at it. I test drove the S and really like it, but cant afford the price tag. Is the rendering just a guess? Saw this on Jalopnik and still no official pics from what I can tell. I would love an electric car if/when I can afford one. The fiance's mazda3 is great for road trips and longer distance, so this would be great for around town. Also, GA had that big deal on Leafs a couple years ago, so a lot of places have chargers now. Yeah pretty sure the rendering is a guess. It was the closest one to looking like a real car. It looks like a nice piece of kit, worth a look for sure if you can grab incentives for going electric in your state or federal. So true. I can wait though! I've driven the P85 Model S in the canyons and recently gone for a joyride in the P90D Model X. They are nothing short of amazing, especially in ludacris mode. I definitely plan on getting a Model 3 as soon as I can afford one! if you watched the Model 3 launch/livestream tonight or checked the blogs, you know that over 125,000 have pre-ordered the Tesla Model 3 in the last 24 hours. Somewhere in there is yours truly! And while the ETA for delivery is "the end of 2017" + 120K units, I figure worst case scenario is I let Tesla hold $1000 for me for a couple months in exchange for some cool swag! With the embargo lifted I've updated the original pic with "real" shots of what the production model should look like! Last edited by irieman; 04-01-2016 at 04:29 AM..
We got our pre-order in at 9:30am in Santa Barbara! Hopefully towards the front of the line! I haven't been this excited about a car since I ordered the MINI This will hopefully be a great daily driver for us! I really hope they have a performance mode on the giant screen that minimizes graphics and dims it WAYYY down. Im super impressed so far. While it usually NOT good to buy the first model year of ANY car, TESLA has done a great job so far and has earned my confidence in them. This should be a homerun! Maybe I'll get one of the first 1000 units! How bout that satin gray? Pretty dope. Last edited by Samtrak; 04-01-2016 at 07:31 PM..
And 35k is only the base price. When i built my model S online (I say my, but i cant afford that) it was 35k over the base price with the options that I wanted. In the first 72 hours, Tesla received 276,000 pre-orders for the upcoming Model 3. I'm extremely interested in this but I'm going to hold off until they actually get released first. The only option I'm into is the Dual Motor.... vrooom! I imagine the glass roof will be heavier than a metal roof.